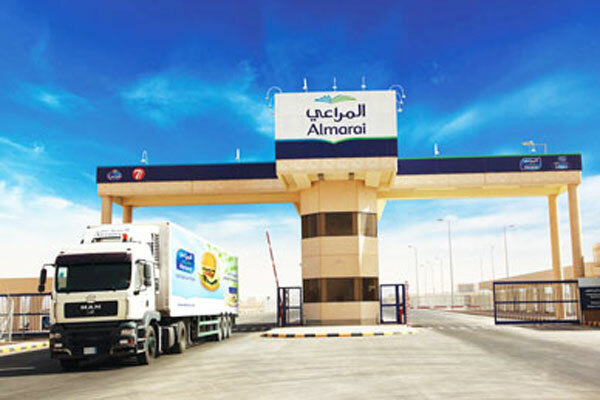 Saudi Arabia's Almarai, the largest dairy company in the Gulf, has reported a gross profit of SR1.45 billion ( $386.3 million) for the third quarter, down 4.2 per cent compared to SR1.5 billion ($399 million) for the same last year. Announcing its condensed consolidated interim financial results for the period ended on September 30, Almarai Company said revenue for the nine-month period amounted to SR3.371 billion compared to last year's SR3.373 billion. This was mainly due to higher cost of sales which is primarily driven by increased promotions, and a jump in labour costs. However, this has been partially offset by better cost management, stable commodity costs and enhanced production efficiencies - Selling and Distribution Expenses (S&D): decreased by SR4.7 million, – 0.8 per cent, said the statement from Almarai. The Saudi company pointed out that the operating profit for the third quarter fell 2.6 per cent to SR755.1 million from last year's figure of SR775.5 million. The consolidated profit attributable to shareholders amounted to SR634.5 million, down 4.9 per cent from SR667 million last year and registering a decrease of 4 per cent as compared to the previous quarter (SR660.6 million). The top GCC dairy company said its revenue for the period too witnessed a 1.7 per cent decline hitting SR10.3 billion compared to SR10.5 million last year.